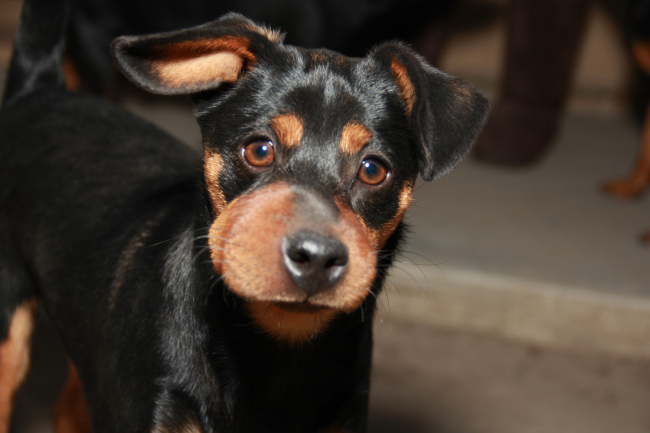 If you’ve ever seen a dog get stung by a bee and suffer an allergic reaction, there’s no doubt it can be pretty scary. But who was your pup to know that chasing that particular bug was a no-no? The first course of action if this happens to your dog is to NOT panic. Dogs are fascinated by insects. They love to stalk and observe the various bugs that cross their turf. Unfortunately, most stings occur when an insect feels threatened. Our pups are cute and funny to us, but to a bee, hornet or wasp, they are terrifying. Most dogs suffer stings to their face, paws or the inside of their mouth. These stings occur when a rambunctious pooch chases a bee, snaps at a hornet or digs up an underground wasp nest. Signs that your dog has been stung include whining, drooling, hives, pawing at the face or eyes, and facial swelling. Always seek veterinary help immediately. As in humans, it is impossible to tell which dogs will simply learn a painful lesson, and which will have serious allergic reactions. All stings should be treated as a potential emergency. Anaphylaxis, a severe, life threatening allergic reaction can occur very quickly, and the speed of treatment can make all the difference. Signs of anaphylaxis include swelling of the throat, difficulty breathing, and collapse. If your dog has been stung, try to remain calm. Bring your pooch inside and call your veterinarian to let the staff know you are coming. If your dog will tolerate it, you can place an ice pack on the sting. Once you arrive at the vet, a doctor or technician will determine if your dog is having a severe reaction to the sting. Common treatments include heavy doses of Benadryl and steroids. Your vet will likely want to keep your pet for at least a few hours to monitor his breathing and make sure the swelling is going down. 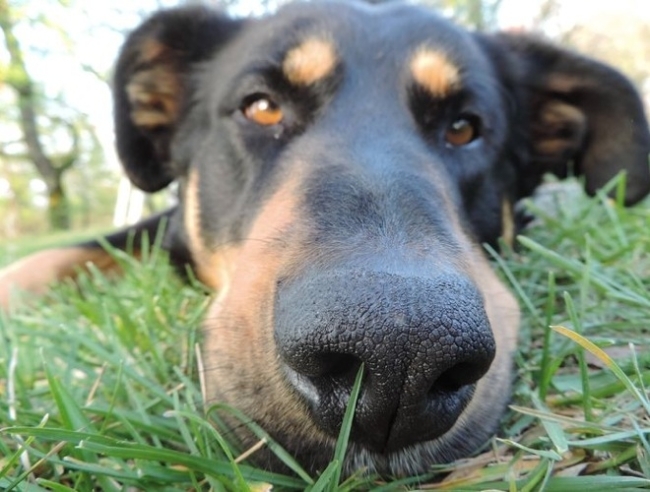 In rare cases, delayed anaphyaxis can occur, so monitoring is in your dog’s best interest. Some dogs require hospitalization with IV fluids, others can be discharged with little or no at home care needed. After your dog has been stung once, you will have an idea of how he reacts. However, any dog can develop anaphylaxis at any time, so a sting should never be taken lightly. Veterinary treatment should be sought each time. Even if your dog has a relatively minor response to stings, your vet can help with the pain and swelling, and of course provide peace of mind! Because of their playful, inquisitive nature, it is difficult to prevent dogs from being stung. Be sure to monitor your pooch when he is playing in the yard. Training him with the basic “Stay” and “Come” commands can be helpful when you see him venturing into dangerous territory. 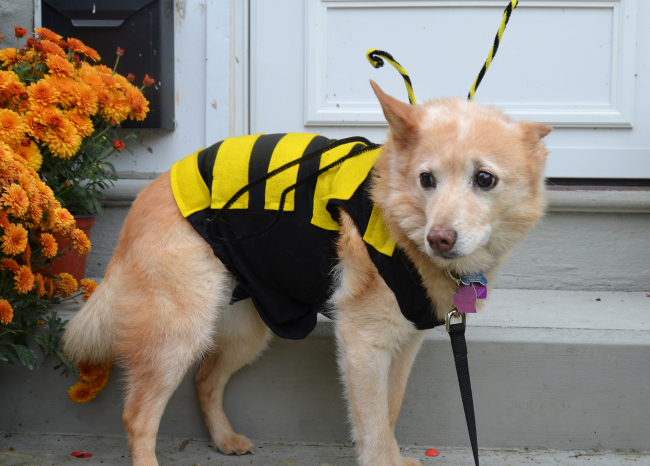 Inspecting your home and yard for hives, knowing the signs of a sting, and being prepared to react are your best courses of action for protecting your dog against stinging insects.